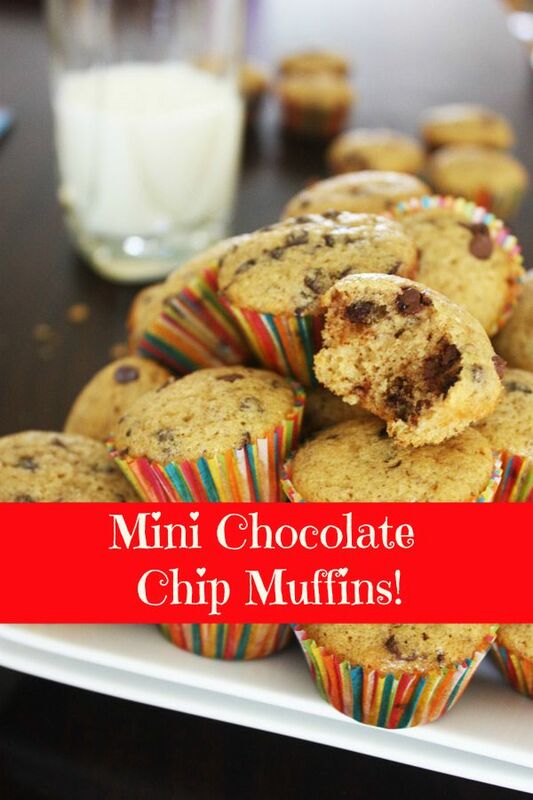 These mini chocolate chip muffins are so tasty and perfect for a weekend breakfast! 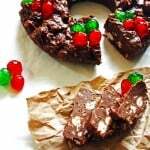 They also are easy to make. Before you start, take out the butter, egg and milk so they can warm up to room temperature. 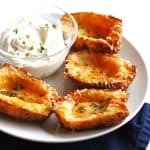 I have always seen recipes that tell you to take out the butter to soften but have also learned it is good to take out all cold ingredients to warm up. This way the cold ingredients will mix together more easily with the other room temperature ingredients. Let them sit for 30 minutes on the counter. If it’s a warmer day then less time is needed. Using a large bowl, beat the butter and sugar until light and fluffy. Add in the eggs, beating after each egg is added to the bowl. Beat in the milk and vanilla. 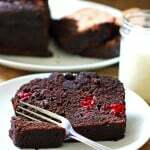 In a medium size bowl, combine the flour, baking soda, baking powder, salt and cinnamon. 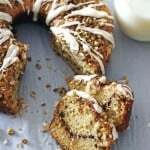 If you are using flax seed, add that in into the mix as well. 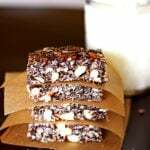 Flax seed is good for us and also gives a little bit of a nutty flavor so I like to add it in sometimes. Next grease the muffin pan or use the paper liners. 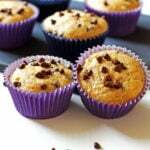 Fill each muffin cup up with one tablespoon of the batter. 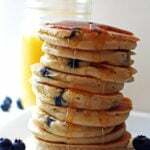 I use a one of my tablespoons to fill up each muffin cup and that works perfect. If you want, press a few extra mini chocolate chips on top of each one before placing in the oven. Bake them at 375 degrees for 12-14 minutes. You can tell when they are done by inserting a toothpick into a muffin. If it comes out clean, they are done. 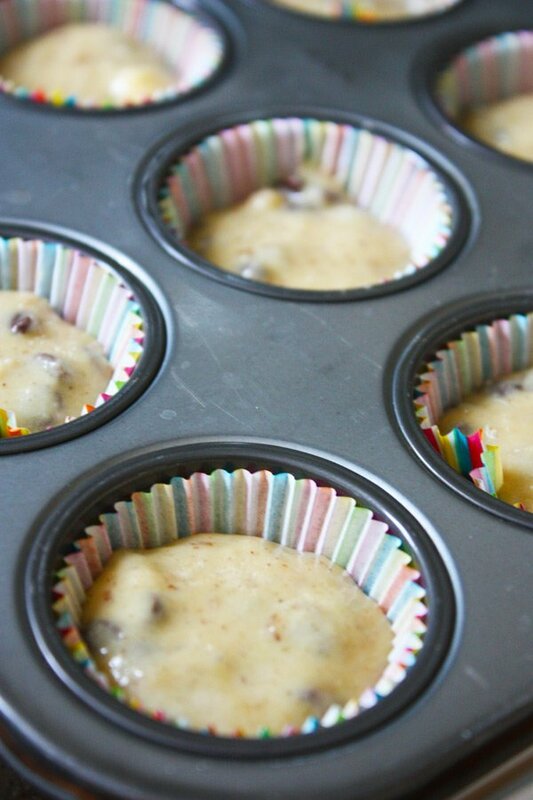 Let them cool slightly before removing them from the muffin pan. Recipe yields about 4 1/2 dozen. Add in the eggs and beat after adding in each egg. In a medium size bowl, combine the flour, baking soda, baking powder, salt and cinnamon. Also add in the ground flax seed if using it. Slowly add the dry ingredients to the wet ingredients and mix until combined, scraping down the sides of the bowl if necessary. 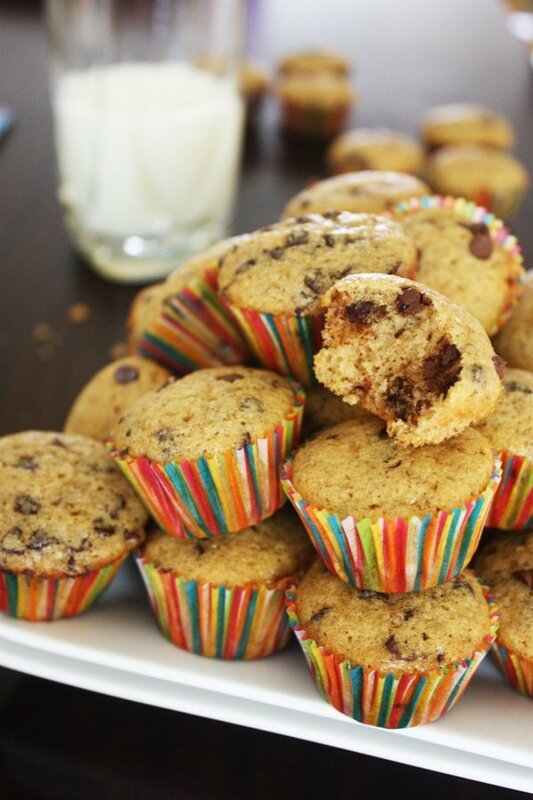 Mix in the chocolate chips just until they are combined into the muffin batter. 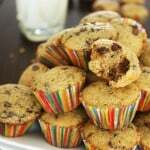 Using a tablespoon, spoon muffin batter into paper lined or greased mini-muffin cups. Cool slightly before removing them from the pan.